You know when you go to the gym for 3 months straight, then miss a day (“I’ll go tomorrow…”) …then you end up skipping the next 3 weeks? Why do we stop doing things we actually want to do? One of the most valuable things I ever learned was how to keep building MOMENTUM — in business, in relationships, and in our personal areas like health and learning. This came from one of my mentors, BJ Fogg, who runs the Persuasive Technology Lab at Stanford. But this was just one of the many things he taught me. And recently, I invited BJ back to interview him about his best advice. In particular, we talked about human behavior — how it works, how to change it, and how to get un-stuck. Think about it: If you master your own behavior, could you earn more money? Be more productive? Have more energy every morning? And we go deep into the tactics, including the actual words to use in emails…the phrases we use to persuade ourselves to do something (even if we don’t want to)…and more. In this interview, BJ Fogg and I dig deep into behavior change strategies we’ve never covered before. life happens and we get deterred, and over time complacency sets in and favors the “new norm”. I see this all the time. I used to see this in the corporate environment, with clients, vendors, in personal life with friends and family, myself, and now in students, exam candidates and even professionals interested in propelling their careers forward. that said, for those few who have the internal desire/motivation, getting back to form a habit (30 straight days of practice) is certainly doable with some conscious thinking and action. The preview looks great – Valuable advice on NOT nagging family members and building a system around an initial motivation wave. Can’t wait for this. Thanks Ramit. Being in the debt consolidation and hearing your first paragraph… you hit it right on the nose. “Why do we stop doing things we actually want to do?” This is the motive to how I help people. I can’t wait to learn more detailed information on why we’re lazy and the self persuasion toolbox. Looks like this will be yet another successful adventure with you… Thanks for everything Ramit. Good post. My day job is sales and momentum is paramount to success. People have deadlines to meet and if you build a solution that fits their needs you will win the business. I also notice very similar things in dating and relationships. So much of this persuasion is based on emotional momentum. Ramit, just curious…are you still running in the mornings? I do a lot more lifting than running these days. Thanks. I might have missed it but have you used the same kind of logic and experimentation to that aspect of your life as you have making money and being successful? If so, can you write about that some time or would you be willing to do an interview about it? I write a running site and think your perspective would be a breath of fresh air for runners who always hear from runners talking about the same workouts, strategies, etc. I think your perspective and voice would be something a lot of people would find fascinating and beneficial. Ramit! Awesome blog, man. Almost done reading your book. Great interview – I really like that part of “not breaking the chain;” very applicable, great advice. By the way, I’ve already gotten 2 raises since I started reading your blog a few months ago, thanks to your direction! Thanks, man. Also, I started my own blog a little while back, and I wanted to nominate you for the Very Inspiring Blogger Award, because – well, you’re very inspiring and stuff. You’re awesome! I never would have been getting paid this much without your posts. Everyone gets stuck at times. I like the idea of having at least two projects going simultaneously so that if one gets too hard, you can switch to the other and continue to feel productive. Most likely, you’ll be able to get back to the first project in a day or two and won’t feel so stuck anymore. Good post and looking forward to the full interview. I don’t know why I continue to read this. The time I spend reading this I should use to being productive. 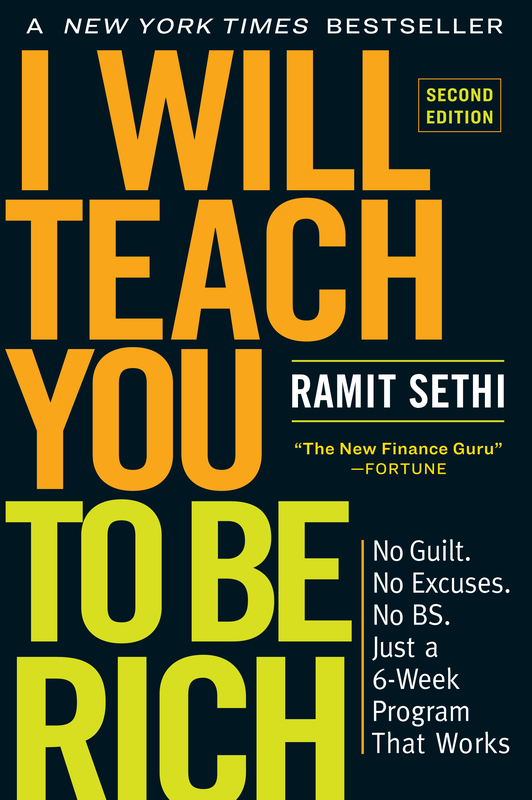 all Ramit does is write COPY, copy to sell us his next product, or up sell us for his next course. He spews’ this Seinfeld story likes it “breaking news” this story came out when Seinfeld FIRST came on the air over 15 years ago, but we eat it up. And we cant leave his website because any article that we “think” might actually pertain to something of relevance we have to sign up AGAIN just to see articles we’ve already signed up for. And does his products work? Well google a review and you will not find ONE, not ONE review. This site has been online for almost 10 years and there is NOT one review of ANY of his thousand dollar products. He could have least wrote a fake one since he writes so much copy. 1. I tell my students to get offline and stop writing on blogs in order to live a rich life. That’s why they don’t waste their time writing reviews on internet marketing blogs where bottom-feeders dwell. Oh, and you can also find 1,000+ comments from IWT readers on how my material helped them here, here, and from just a few months ago, here. 3. If you think I sell too much, please feel free to leave. I give away 98% of my material absolutely free, and I always aim for my free material to be better than anyone else’s paid stuff. I have more documented success stories than virtually anyone else — so clearly, something is working for certain people. But obviously I’m not for everyone, so if my material isn’t right for you, I wouldn’t want to waste your time! The one thing I will give you is that you are very good with replies via this site or thru email.